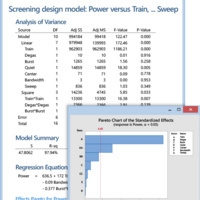 MINITAB is a powerful statistical software for process optimization and research enhancement. It provides Zero-Defects and optimum yield for product and process in science and engineering field. MINITAB is a simple, effective way to input statistical data, identify trends and patterns, problem’s troubleshooting, and extrapolate answers to the problem at hand. The workshop is located in the GIS & Data Lab within Rotch Library. Computers required an MIT kerberos login.